Offers to be submitted by 12 noon on Wednesday 17th April 2019. 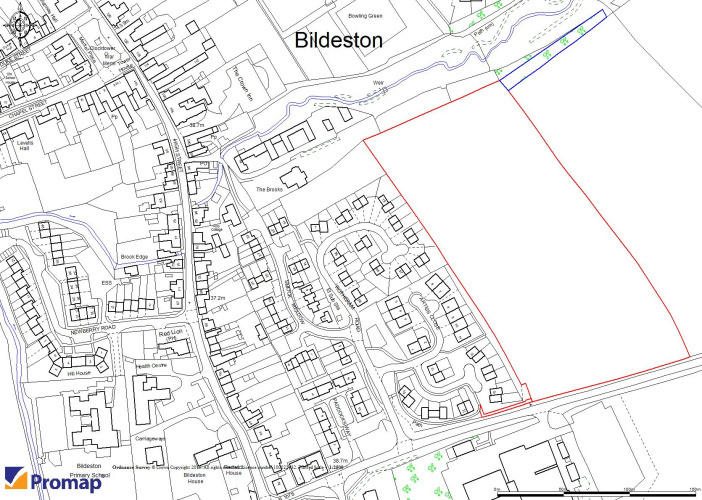 The residential development site is located in the village of Bildeston with good access off the B1078.Ipswich Road. The site is approximately 6 miles from Hadleigh,15 miles from Sudbury and 14 miles from Ipswich. The A12 and A14 roads are approximately 16 miles away. There are main line train services from Manningtree (approx.16 miles) direct to London Liverpool Street (approx. 80 mins travel time) and London Stratford for Crossrail. Bildeston is one of 10 "core" villages located within the Babergh District and has a primary school, medical centre, convenience store, post office and 3 public houses including the well-known Bildeston Crown Hotel. The development site extends to approximately 2.93 hectares (7.24 acres) and is shown on the Sale Plan. The site received outline planning permission for residential development of 48 dwellings on 20th October 2017. The Babergh District Council application reference is B/15/01433. or at the dedicated Data Room for which further details are available from the Vendors Agents. 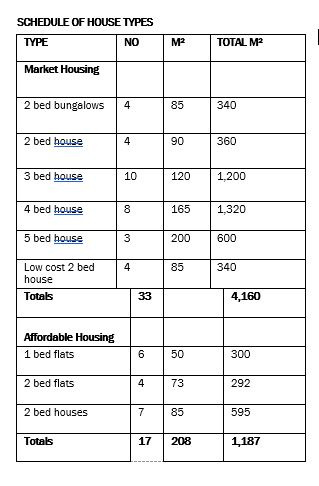 The buyer will be responsible for all outgoings including Section 106 costs totalling approximately £190,000 and CIL costs of approximately £440,000. Further details are available through the various documents in the Data Room and the link above. 1.. Details of the Purchaser's Solicitor. 2. A letter of confirmation from a Bank or Financial Advisor confirming that Funds are available to exchange contracts in the required timescale. 3. Confirmation that Main Board approval has been given where necessary. 4. The Vendors reserve the right not to accept the highest offer or any other offer received. Exchange of contracts will take place 28 days after receipt by the Purchaser's Solicitor of the draft contract. Completion will be 28 days thereafter. 1. The area outlined blue on the Sale Plan is subject to an Easement in favour of the vendors to allow for the creation of a footpath link and a below ground surface water drain. 2. There is a small strip in the south west corner of the site which is owned by the vendors. .This has recently been acquired from the neighbouring owners to provide a footpath link. Road and surface water will be drained, as described above, into the Bildeston Brook through the easement area. The property will be sold with an overage whereby the Vendors reserve the right to receive a further payment if a more valuable planning permission is obtained prior to development of the site. Prospective purchasers should indicate how much they are prepared to pay for each additional square foot of market housing in addition to their bid price. We understand mains services are available close by but prospective purchasers should make their own investigations in this respect. The Consultants Reports forming part of the Planning Application show that foul water will be pumped in part of the site and drained by gravity in the remainder to the main in the public road. Surface water will be drained into the Bildeston Brook through the Easement area. The property will be sold with an overage whereby the Vendors reserve the right to receive a further payment if a more valuable planning permission is obtained prior to development of the site. Prospective purchasers should indicate what terms they are prepared to offer in this respect in addition to their bid price. In accordance with the most recent Anti Money Laundering Legislation, buyers will be required to provide proof of identity and address to the selling agent once an offer has been submitted and accepted (subject to contract) prior to solicitors being instructed. The vendors have opted to tax the land being sold therefore VAT will be charged on the sale price.